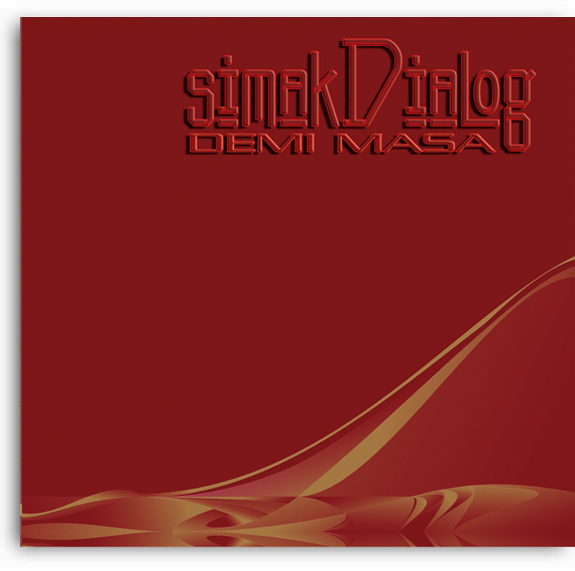 "This is the fifth album from Indonesian progressive jazz ensemble simakDialog. Led by keyboardist and composer Riza Arshad, the band also features guitarist Tohpati and bassist Adhitya Pratama, working alongside the twinned percussion thrust of Endang Ramdan and Erlan Suwardana. This latter pair are specialists in traditional Sundanese kendang drumming. Arshad's compositional approach opens up from a jazz-rock palette, but his Fender Rhodes electric piano is clearly influenced by the crisp ring and shimmer of the Indonesian gamelan's array of gongs, metallophones and double-headed drums. We can immediately hear the similarities between the keyboard's percussive crackle and the sharp detonations of tunefully struck metal. The percussionists soon enter, clattering out their heavily organic patterns with roundly slapped skins, shaker bells and handclaps. Arshad frequently pushes his solos (or are they ongoing themes?) up to continually higher levels, urging repeated climaxes as each piece steadily amasses intensity. Tohpati is also attracted to resonant trebly zones, journeying from acoustic delicacy to a subtly distorted friction. The guitarist's presence has a significance beyond his role on this album, as Tohpati is one of the Indonesian music scene's most successful (and ubiquitous) players. Another element is tipped in later, with the percussionists chanting along to emphasise their dense structures. Arshad might recline in a hazy contemplation, but it doesn't take him long to develop an insistent pulse, invariably reaching a frenzied state. There's a clear recalling of the classic moves made by Chick Corea and Terje Rypdal in the 1970s, but this is laced with authentic gamelan elements utilised as part of this jazz-rock vocabulary. The result sounds both natural and fully integrated. This a particular realm that couldn't be reached either by Western progressives or a traditional gamelan ensemble. The simakDialog involves a unique combination of both spheres, without making the commercially tempting mistake of cultural dilution." ZNR adds: This is Simak Dialog's 2nd release on Moonjune and a big step forward from the previous one. That's not to say that "Patahan" isn't a fine recording in its own right, being an excellent piece of fusion in the vein of early Pat Metheny Group. However, "Demi Masa" is more adventurous and takes the listener on a more varied and sometimes more interesting journey. The gamelan elements are attractive but to call this a "world music" album is to totally miss the mark. This is world class fusion at its finest ranking highly amongst the famous purveyors of that genre like Return To Forever, Soft Machine, Weather Report, a.o. and has compositional skills that rank it with some of the great Canterbury groups like Gilgamesh or Turning Point! Highly recommended to fusion fans and Canterbury fans alike!! Notify me of updates to Simak Dialog "Demi Masa"